Japanese has no genealogical relationship with Chinese, but makes extensive use of Chinese characters, or kanji (漢字), in its writing system and a large portion of its vocabulary is borrowed from Chinese. Along with kanji, the Japanese writing system primarily uses two syllabic scripts, hiragana (ひらがな or 平仮名) and katakana (カタカナ or 片仮名). Japanese was little studied by non-Japanese before the Japanese economic bubble of the 1980s. Since then, along with the spread of Japanese popular culture, the number of students of Japanese has reached the millions. 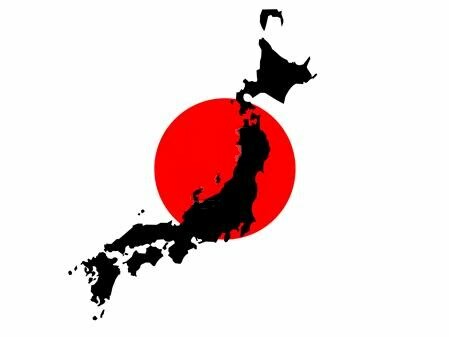 Japanese has no official status, but is the de facto national language. Japanese word order is classified as subject–object–verb. Unlike many Indo-European languages, the only strict rule of word order is that the verb must be placed at the end of a sentence, other elements in the sentence may be in various orders for emphasis, or possibly omitted. This is because the Japanese sentence elements are marked with particles that identify their grammatical functions. There’s very little evidence of an indigenous writing system until the Chinese characters were brought over to Japan in the 5th century AD. Even after this, it wasn’t until around the 8th century that a truly distinct form of written Japanese was developed. 身の程を知れ！[Mi no hodo o shire! ], Know your place! at anyone who dared to show insufficient respect. Take care not saying “chin chin” when making a toast in Japan, because it is the word children use to name the male organ. Even if you don’t have the language skills, a softening of the voice, a discreet awareness of the other person’s personal space and undemonstrative body language go a long way when it comes to courtesy and showing respect. Vocabulary can vary according to gender of the speaking person: women use other vocabulary than men. Most Japanese words end in vowels, which determine the structure and rhythm of Japanese language. Usually, all syllables carry equal stress. Here, at the University of Almería, you can find Japanese courses in our “centro de lenguas”. またね(matane) and do not forget to visit us on Facebook ! !